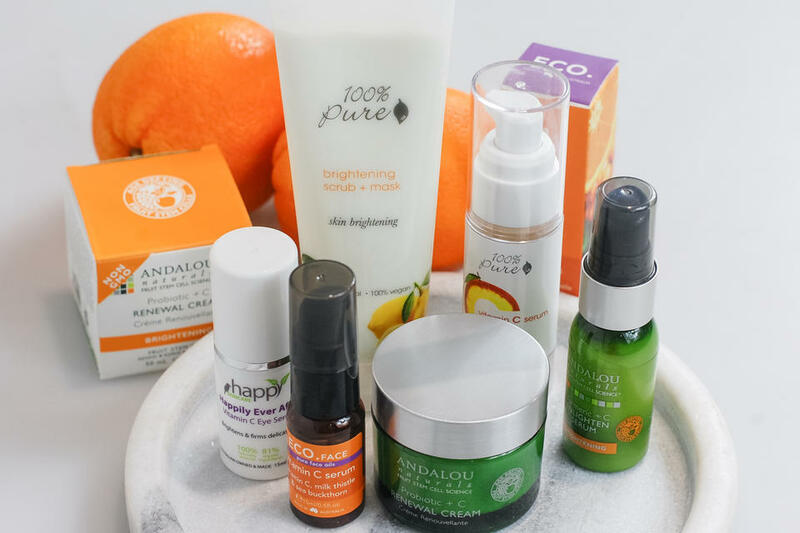 Here on Nourished Life, there are so many amazing natural skincare ingredients and essential oils that can treat skin damage, boost collagen production and leave your skin looking plump and glowing. One of these wonderful ingredients is Vitamin C! There are so many amazing natural skincare ingredients and essential oils that can treat skin damage, boost collagen production and leave your skin looking plump and glowing. One of these wonderful ingredients is Vitamin C! This antioxidant rich skincare saviour is perfect for not only mature skin, but also visibly damaged skin from UV exposure, dehydration or scarring. A great way to include Vitamin C into your everyday skincare routine is by incorporating a natural serum, exfoliator or moisturiser infused with this hydrating ingredient. What are the skincare benefits of Vitamin C? Can moisturise dry skin: Vitamin C is a skincare ingredient that is easily absorbed into the skin. This ascorbic acid has been shown to decrease trans-epidermal water loss in the skin, allowing it to retain moisture.1 It’s a highly moisturising ingredient, perfect for anyone with dry or sensitive skin! Can target sun damage: One of the best uses for Vitamin C is to limit the damage caused by overexposure to UV rays. The high antioxidant levels in Vitamin C help to protect the skin from free radical skin damage caused by UV rays.1 As UV rays decrease the levels of Vitamin C in the body, it’s important to ensure you are taking Vitamin C supplements or applying it topically to the skin. 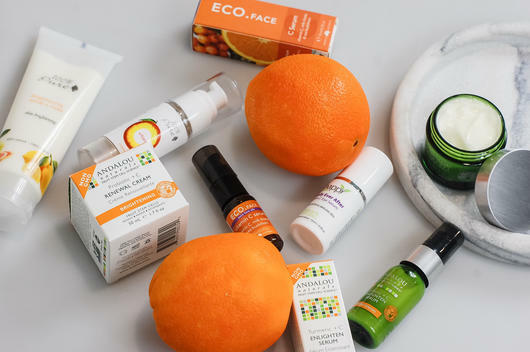 Which Vitamin C skincare products do I recommend? If you want an effective Vitamin C boost to your skin, the 100% Pure Vitamin C Serum $49.95, is a skincare must have! It’s formulated with Green Apple, Grapes and Evening Primrose Oil and may help reduce the appearance of age spots and sun damage. 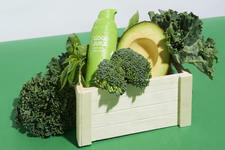 It may also help breakouts, brighten the complexion and treat UV damage. It’s a highly potent formula that can be used both morning and night. Apply after cleansing, onto damp skin. In this Vanessa Megan Two Phase Vitamin C Brightening System $124.95, Vanessa Megan have used the power of organic Vitamin C and Kakadu Plum to produce glowing skin. This unique two component process may help to firm skin, fade dark spots and other scars, improve the skins overall appearance and prevent pigmentation problems. Other active ingredients include Bearberry extract which may help brighten the skin, and Kiwi oil which is extremely high in antioxidants. The serum and powder are mixed in your palm and applied to cleansed skin underneath your night cream. This Happy Skincare ‘Perfectly Happy’ Light Antioxidant Cream $30.95, is perfect for anyone with normal, oily and combination skin. It’s antioxidant rich and may help balance the skin, promote healthy cell turnover and offer deep hydration. Made with ingredients including Pomegranate, Green Tea and Aloe Vera, I love using this face cream during the Summer months! The ECO. Face Vitamin C Serum $17.95, is another fantastic serum that offers a daily dose of Vitamin C. Combined with Rosehip Oil. Sea Buckthorn and Milk Thistle, this product specifically targets signs of ageing. It may help you to achieve a brighter and more youthful complexion by reducing the appearance of pigmentation and promoting cell turnover. This serum contains 2% active Vitamin C which is an oil soluble form. This means that it is able to penetrate the lipids of the skin to offer deep hydration. To use, apply 2-4 drops onto clean, dry skin. If you have pigmentation or discolouration issues, this Andalou Naturals Probiotic + C Renewal Cream $24.95, may help reduce dark spots and even out skin tone. It’s made with a unique complex of probiotics, Vitamin C and Manuka Honey ideal for skin damage, pigmentation and promoting healthy skin cell turnover and microflora in the skin. To use, apply morning and night to your face and neck. There’s nothing more relaxing than applying a facial mask after a long day! This 100% Pure Brightening Scrub/Mask; $44.95, is a two in one product that uses Jojoba beads to buff away dullness, dead skin cells and bumps on the skin. It’s made with gentle and brightening ingredients including Kojic Acid, Vitamin C and Strawberries. This brightening scrub may also help lighten pigmentation and reduce acne scarring. It also includes Chlorella Growth Factor which may help increase collagen production! To use, wet face and gently massage into the skin. Ideal for mature skin, this Andalou Turmeric + C Enlighten Serum $24.95, uses the benefits of Vitamin C to lighten, tighten and brighten the skin. It’s made with a blend of scientifically proven Fruit Stem Cell Complex and natural ingredients including Sea Buckthorn, Turmeric and Grape Seed Polyphenols. It may be just the serum you need for targeting and treating hyperpigmentation and UV damage. To use, apply to clean skin before moisturising. Your eyes can use the benefits of Vitamin C too! This Happy Skincare ‘Happily Ever After’ Vitamin C Eye Serum $40.95, may help firm the delicate eye area, reduce fine lines, brighten tired eyes and increase blood circulation. This gives your eyes a wide awake appearance. This serum is fast absorbing and has a subtle rose scent. It’s suitable for all skin types including sensitive! To use, pat a small amount around the eye area. Did you know that your skin could be soaking in the benefits of Vitamin C while you shower? This Waters Co Therapy Shower Filter Deluxe - With Shower Head $159, uses Vitamin C and Natural Sea Collagen to hydrate your skin and remove any impurities in the water. It filters any dirt, rust, chlorine and other nasties! This shower head is perfect for anyone with dry or problematic skin. Coming soon to Nourished Life, the Mukti Age Defiance Vital C Elixir fights and prevents photoageing. It’s made with bioactive native extracts including Kakadu Plum and Finger Lime to specifically target infrared and thermal induced skin ageing. This serum may help maintain a firm and youthful complexion, smooth out the skin and offers immediate and long lasting moisturisation. It’s a potent formula that penetrates the skin to quickly and deeply hydrate.